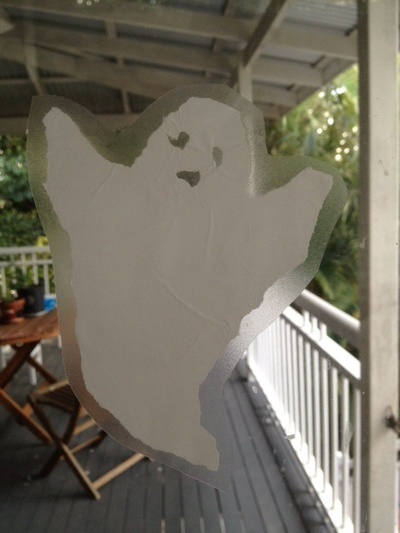 Create this easy floating ghost to decorate a window for Halloween. 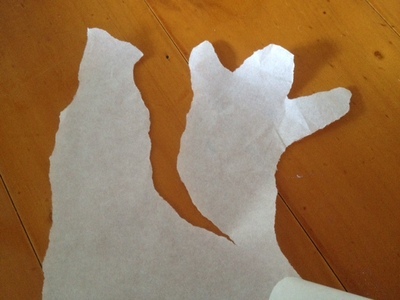 Why not create a whole family of ghosts to make a haunted house? 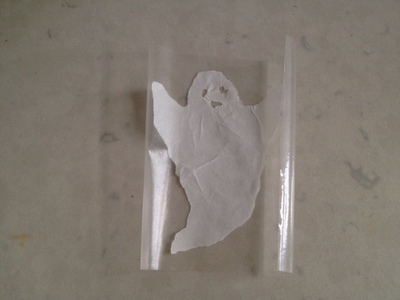 Tear a ghost shape out of the paper. 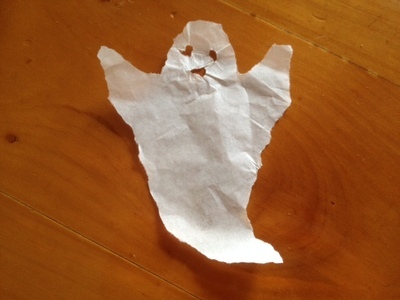 Tearing the paper instead of cutting with scissors gives a nice fuzzy edge to the ghost. Tear eyes and a mouth out of the ghost shape. Younger children will find it easier to draw a face on with a black pen instead. 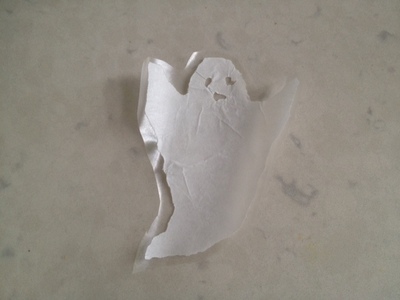 Peel the backing paper off the sticky contact paper and stick your ghost onto the sticky side. 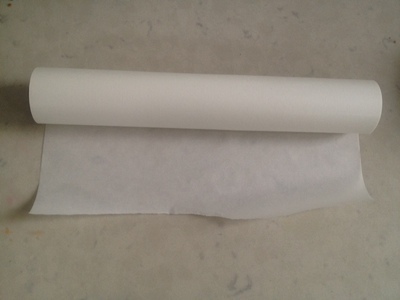 Cut around the ghost leaving a sticky border of about half a centimetre. 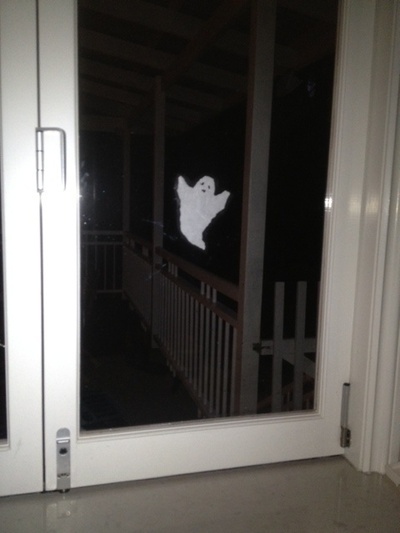 Stick the ghost on to a window. The sticky plastic border around the ghost is the part that will stick to the window.